Turn back the clock with these luxurious anti-aging Skinn® Rosette Luxe Premier Collagen Boost Eyeshadows. The soft, richly pigmented palette is packed with advanced anti-aging ingredients, collagen-boosting peptides and antioxidants. Talc-free formula helps dry, crepey eyelids look smooth and beautiful. 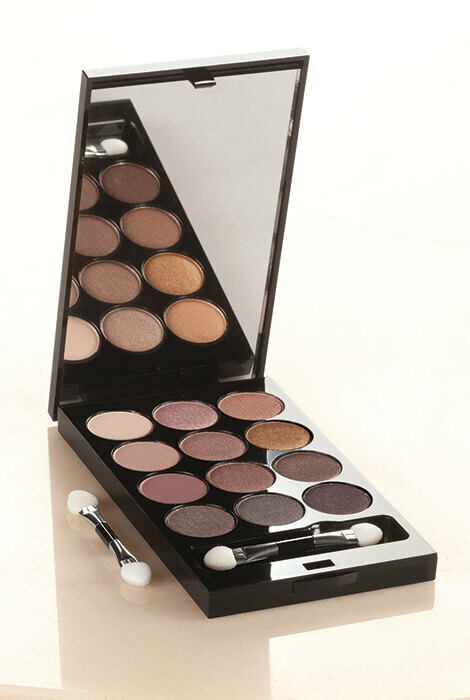 The snap-shut compact includes 12 easy-to-wear shades and a full mirror. To use, apply anti aging makeup with the included applicator or your own shadow brush. For more intense, brilliant color, apply shadow with a damp applicator. 0.3 oz. Apply to eyelids using included applicator or professional shadow brushes. Dampen applicator and apply wet to impart more intense, brilliant color. ...well, collagen can never hurt! 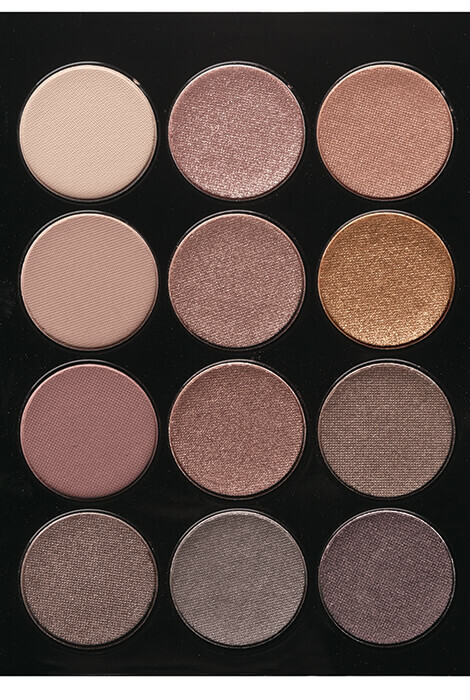 I liked the range of neutral shadow colors and additionally note that I don't anticipate that I will have to render any of the 12 shades as unusable, which is usually the case.